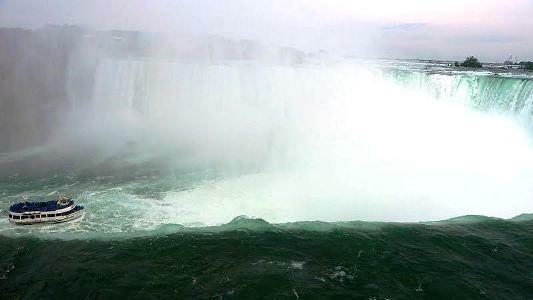 Plan to reach at Niagara falls by 12 Noon so that you can use the day to cover couple of main attractions for Niagara. The hotels near to the Niagara falls are quite expensive. If you are looking for budget hotel then you can find many hotels within 10 to 15 miles from Niagara Falls i.e Tonawanda. The Niagara view from Canada Ontario is always beautiful than the view from USA side. This is a 2 Days visit plan to Niagara Falls and nearby attractions. You might follow this order to see the attractions. A historical ride aboard the world-famous Maid of the Mist boat is a half hour thrill to explore the roar of the Niagara Falls. It is beside the Niagara falls. You can take a look at it while going to the Cave of Winds. It is a fully guided tours that are great fun for the entire family. The Jet Boat depart daily from the month of May until October. It is one of largest hydroelectric power plants in the world. Which you can see if you tak the Jet Boat ride. You can walk up to the base of Niagara Falls during the Cave of the Winds tour. Your journey will begin with an elevator ride 175 feet into the Niagara Gorge. Old Fort Niagara State park hosts colorful displays of cannon and musket firings, historical reenactments, 18th-century military demonstrations. The park is at the edge of the Niagara River where it empties into Lake Ontario. It has a great selection of penguins and seals to sharks and sea lions. Whirlpool State Park has two levels. Upper level has spectacular views of the swirling waters of the rapids, the whirlpool and the Niagara River Escarpment. The lower is accessible by walking the 300 feet of trails. Rasheed Towers, Opp. Medical Trust Hospital, Pallimukku, M.G Road, Cochin – 16,Kerala, India.